The territory of Clare Shaw’s third collection isn’t one she chose herself, but one which chose her: the flooded valley and the ruined home. The 2015 floods in Britain left whole swathes of the country submerged, including her home town of Todmorden. Flood offers an eye-witness account of those events, from rainfall to rescue, but ripples out from there. Intimately interwoven with the breakdown of a relationship, flooding serves as a powerful metaphor for wider experiences of loss, destruction and recovery. 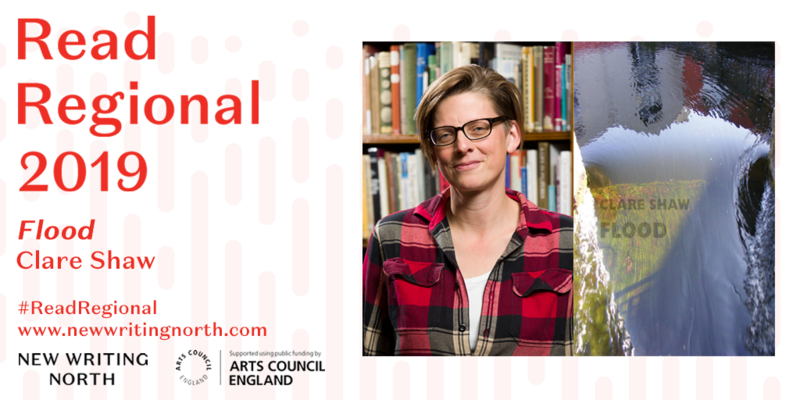 Clare Shaw launched the book in Liverpool (as part of Feminist Book Fortnight) and at Hebden Bridge Arts Festival in June 2018, and regularly gives readings and workshops across the UK. She was Poet-in-Residence at Swindon Poetry Festival and read at Manchester Literature Festival alongside the Poet Laureate Carol Ann Duffy in October 2018 . Two poems from Flood are featured on the Bookanista website here. Clare has written a short piece about Flood, which she calls 'a long love letter to the Calder Valley'. You can read it in full here. Reading Guides for all 12 Read Regional titles can be downloaded here.